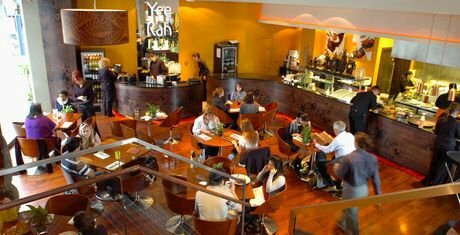 Located in the Liverpool One development, Yee Rah is your perfect destination whether you're out shopping, going to the Odeon or visiting us especially. Overall was nice but husband ordered a singapore noodles with beef. The beef looked and tasted as though it had come out of a packet and cut up which was a bit of a let down. Just an excellent experience all round. I visit every time I am in Liverpool and always enjoy it. 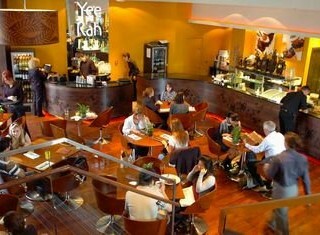 I visited on Sunday, we had reserved a table online for 7.15 for 4. We turned up at 7.15 and was told to wait. We decided to take a seat in the bar area. Two couples came in after us that hadn't booked and were seated straight away. I waited until the waitress cam e back and asked her when our table would be ready. She said I will check. When she finally came back we were seated. We had to wait until our waitress came over to ask for a kids menu (my son is 10 so that should of been automatic) We asked for drinks two soft and a bottle of wine. Got our order taken and waited for our drinks and then had to ask for them. The waitress came back with the wrong drinks order and instead of just sorting the problem discussed this with at least 3 members of staff before rectifying it. Starters arrive still no drinks. Eventually the arrived by this point we had been in Yee Rah for an hour. Mains arrived whilst starter plates were still on the table and the food runner TRIED to put our main course plates down on top of them. We did stop him. He took our starter plates and put them on the next table (there probably still sitting there) Had a long wait again to get our plates cleared, we didn't stay for desserts as the kids were so fed up. Not a great dining experience at all. The waitress did apologise for the poor service, but I would of thought that management would of spoke to us. I would love too hear your feedback? ?